North America’s largest terrestrial mammal, one of the symbols of the continent’s wide-open spaces, and the Ark of Taste’s biggest animal: the Great Plains Bison. While the bison itself is no longer an endangered animal, it is increasingly rare to find wild bison eating their original diet. 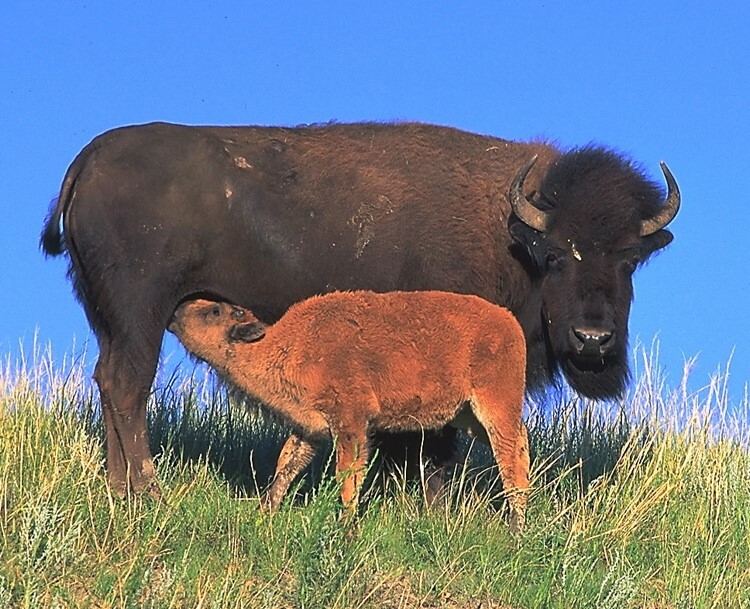 A central feature in the lives of Indigenous and First Nations peoples in North America, the bison has forever provided the essentials of life to the land and its inhabitants. Disease, culls, and politics drove the bison near to extinction, but thankfully in recent years, the tide has turned and the Great Plains Bisons roams free once more. The Calate, hailing from the mountain forests and rainforests of the Sierra Madre Oriental in Mexico is recognized as the smallest animal aboard the ark! Males of the diminutive amphibian measure an average of 7.7 cm while females stretch a bit further at 9.5cm on average from finger to toe! 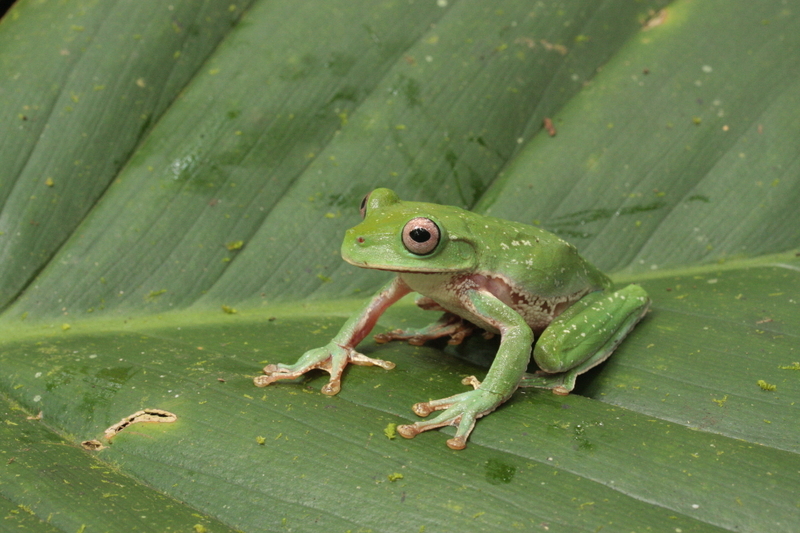 The little tree frog is a delicacy in the town of Atzalan, Veracruz, and is enjoyed steamed or fried, or in broths, rice, pancakes or mole (a type of Mexican sauce). Beyond just an important ingredient, the calate is an important community symbol, gracing many official emblems and monuments. Despite the importance of the calate, its populations are in decline, as habitat destruction threatens the existence of this little frog, and with it a community’s identity. The cold and ruthless arctic conditions of northern Norway are not particularly conducive to the cultivation of many plants, but an exception to that rule is the Målselvnepe. A hardy and prized variety of turnip, the Målselvnepe turnip is delicacy in the northern Troms county, where locals munch on them raw, as they might an apple or a pear, or cook them in stews and soups. 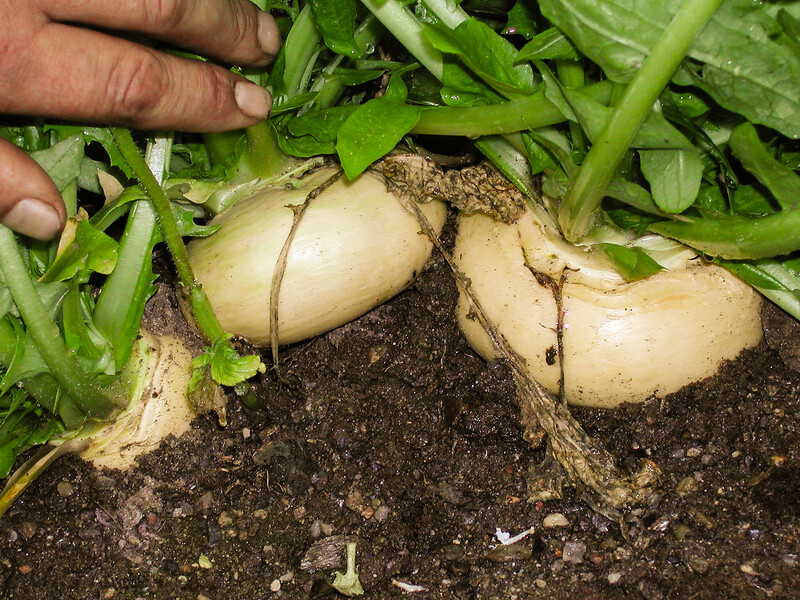 Despite their hardiness and value, Målselvnepe turnips are hard to cultivate: they require careful management to protect them from weeds and insects, and harvesting is a time-consuming task, which in recent years has driven locals away from producing this once beloved turnip, as modern technology and techniques allow farmers to defy local conditions. Calafate: A common shrub in the southern parts of Chile, the calafate is a small round fruit, with purple skin, and a sweet and sour flesh. 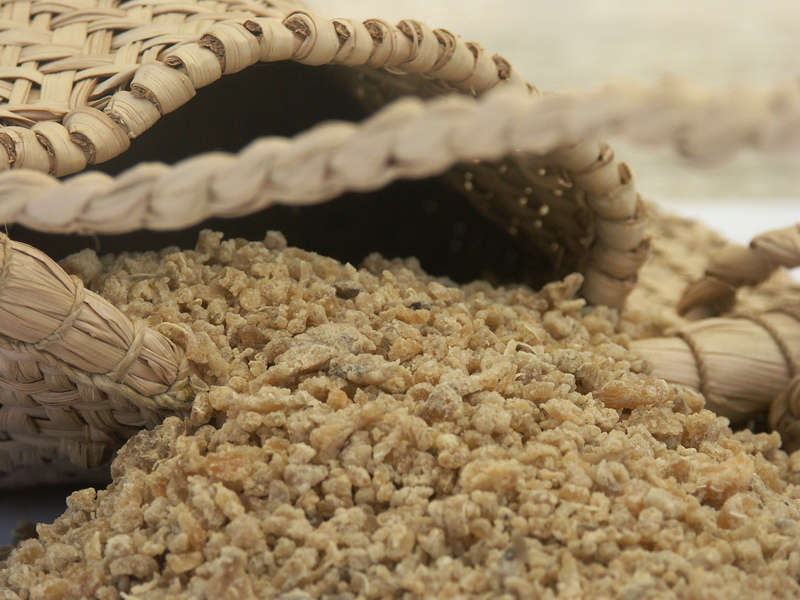 The shrub’s spiny branches are not enough of a deterrent to those who would enjoy its fruits or collect the roots and bark for their medicinal value. Something of a halcyon family activity, the habitat of the calafate is ever more threatened by urban expansion and the clearing of its habitat. 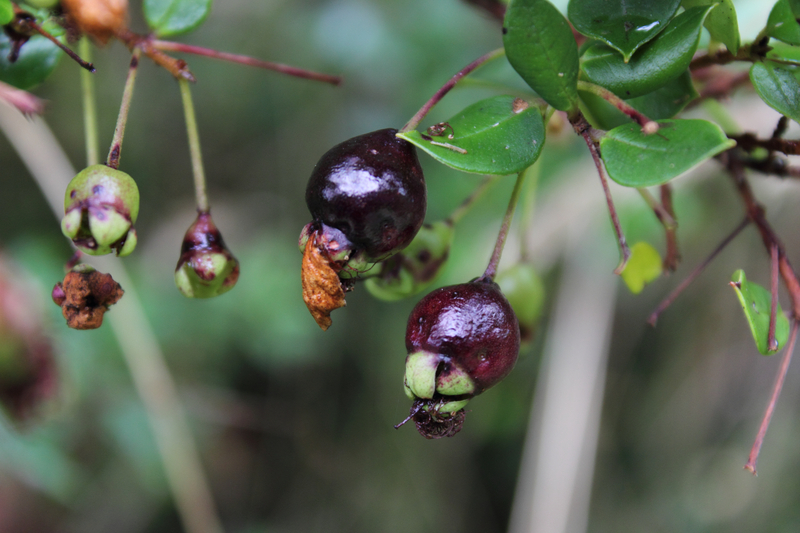 The fruits of the native Patagonian shrub are often used to flavor lollies, juices, fermented drinks and liquors. The Ark of Taste’s southernmost passenger is also something of a return ticket to Patagonia, as legend has it that whoever eats one, will be compelled to return. Zazamushi was the Ark of Taste’s first insect, a category that has since grown to 74. The Nagano region in Japan has no access to the sea, so locals have long relied on the rivers for fresh protein. Alongside fish, insects became an important part of the catch, among them the zazamushi, the river larvae of a range of species belonging to the Trichoptera and Megaloptera families. 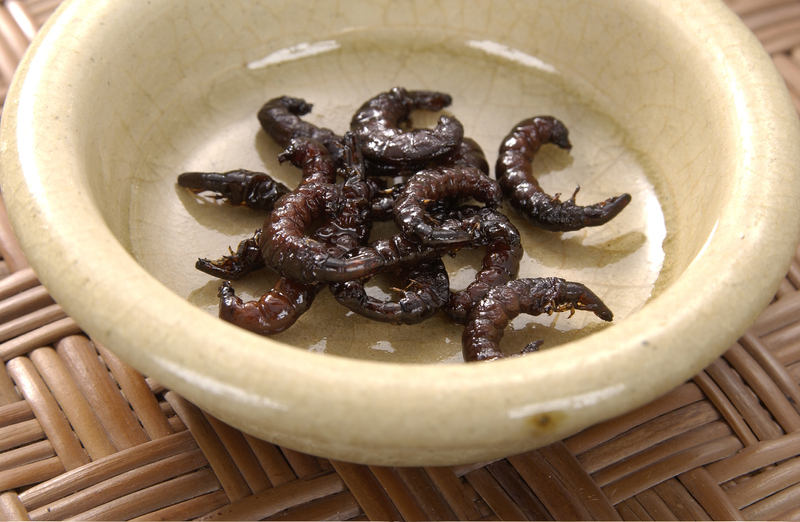 The larvae are cooked with soy sauce and sugar over high flames. Sadly, in recent years, water pollution has severely affected their populations, leading many fishermen to stop trying to catch them, taking their techniques and skills with them.